Regrettably, some people have bad accidents that leave them handicapped permanently. Even though they live and are discharged from the hospital, they still need medical devices to help them with their everyday lives. This kind of medical equipment comes under the classification of "durable medical equipment" and consists of oxygen tents, wheelchairs, catheters, hospital beds, iron lungs, CPAP and nebulizers. Much of these machines are included by medical insurance policies. Together with those handicapped by mishaps, this kind of apparatus is likewise used by those handicapped from birth and by seniors afflicted with certain illnesses or diseases. There are several companies that supply high quality and long lasting medical devices with the admirable objective of helping patients with certain disabilities live an independent lifestyle. Devices like electric powered rollators, scooters, grabbers and magnifiers also fall under the "durable medical equipment" definition. 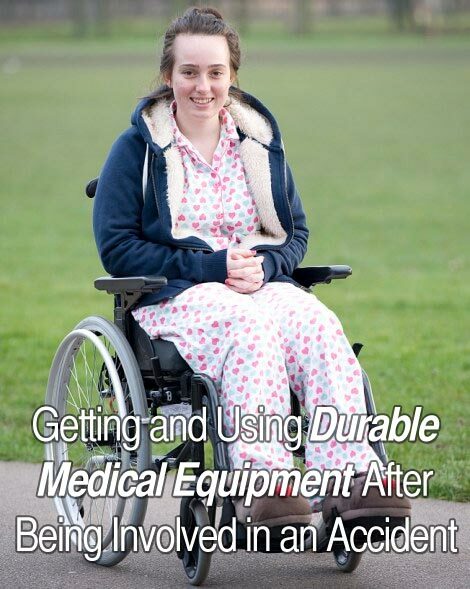 What Will Happen Should You Need Durable Medical Equipment? In the unlucky event you have ended up in an accident and have been handicapped, you should consider a dependable provider of durable medical equipment. One of the first tools for uncovering the perfect vendors locally is the Internet. You can find vendors that are based online. Moreover, you could weigh costs and benefits of the devices you want and purchase the correct one for your needs. Lastly, should you have a particular question or concern that must be resolved, it is best to try to contact suppliers online - the majority will reply and might even get their sales rep to come and meet you personally. When they arrive, these vendors can supply helpful advice regarding the ideal equipment that is best for your needs. Keep in mind that your physician must be included in this decision also. After you have chosen the equipment you want, they will deliver it to your house. Lastly, should you ever have an issue or a problem in the machine, the providers will give you great support service. There are several support communities online, like Yahoo Groups, Google Groups, and online forums focused on particular topics. These provide great resources for asking questions and obtaining valuable info regarding medical equipment and their vendors. Actually, often times this data can be more helpful compared to the doctor suggestions, since the individuals who give responses are those who really use these device in their daily lives. One closing source of info regarding durable medical equipment vendors is the local yellow pages. You can simply call some of these vendors over the phone and obtain a price and features of the wanted devices. After evaluating the make, quality and cost you can choose the company that gives the perfect deal. Pick your durable medical equipment carefully as they might be a lifelong partner.